Rolling Stone magazine named it only the fourth greatest album of all time, even though they were named (in part) after its first track. 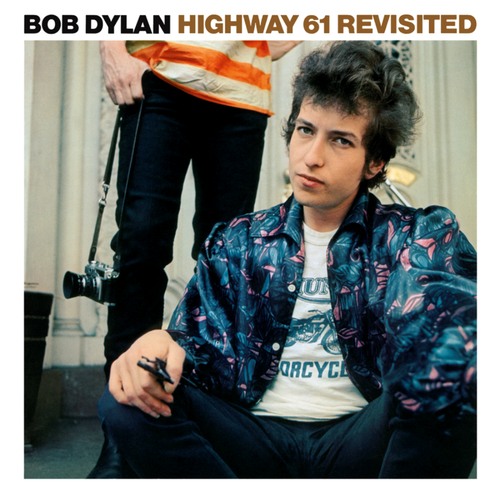 Bob Dylan’s Highway 61 Revisited is that seminal piece – the combination of bluesy rock and roll with the fiercely poetic lyrics that would redefine the face of rock music. To me it unquestionably Dylan’s best album, and it is the one I have listened to the most times, by a wide margin. I can remember being in the ninth or tenth grade and coming home from school for lunch and listening to Highway 61 day after day after day. The length of the album plus the walk to and from school was precisely the length of my break. When I’d hear the opening phrases of “Desolation Row” (“They’re selling postcards of the hanging….”), I knew it was time to pack up and get ready to head back to class. For probably weeks on end I listened to this album day and night. And why not? There’s not a single bad song on it, and quite a few (“Like A Rolling Stone”; “Ballad of a Thin Man”; “Queen Jane Approximately”, and the aforementioned “Desolation Row”) are strong contenders for ‘best thing he ever did’. Dylan recorded “Like A Rolling Stone” in mid-June 1965 (it was released as a single, with “Chimes of Freedom” the next month), and then Dylan got booed off the stage at Newport. The electric material that he played there was mostly from Bringing It All Back Home, but the experience seemed to have steeled his determination. Four days after Newport he recorded “It Takes A Lot To Laugh, It Takes A Train To Cry”, “Tombstone Blues”, and, most importantly, his defiant blow-off to the folk scene: “Positively 4th Street” (left off the album, and about which more in a day or two). Over the course of only four recording sessions Dylan would bring his masterpiece together. Many of the songs are rough and ragged, the result of constant tinkering and experimentation. 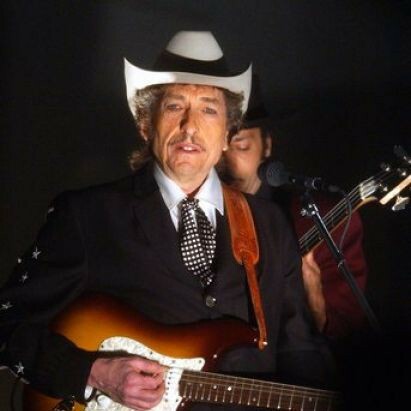 There is a howling rage to a song like “Ballad of a Thin Man”, in which Dylan is writing protest music – by his protests are personal: he doesn’t like the way that he himself is being treated now. This is an album that very much announces the birth of a brand new version of Bob Dylan, one that is beholden to no one. It seems a pretty clear indictment of the politics and the commitments of the folk scene that he was placing in his rear view mirror: what purpose is there to take sides on a sinking ship? Dylan knew his own ship wasn’t sinking – it was a rocketship, and this album would head him towards the stratosphere. I’m still not tired of this album – I’ve been looking forward to this week, and I’ve listened to it every day so far. Oh, by the way, the three albums that Rolling Stone placed ahead of this one: Revolver by The Beatles, Pet Sounds by The Beach Boys, and Sgt. Pepper’s by The Beatles. I’m not going to bother to argue that. But I will note that Dylan has eleven albums on the top 500 list, one more than each of The Beatles and The Rolling Stones. And, on a separate but related list, the number one song. But more on that another day. My copy of “Highway 61 Revisited” has these same pops in it. Played it too much!